Look but don't touch: Your passengers will want to take these beautiful carbon fiber pieces after they set their eyes on them. 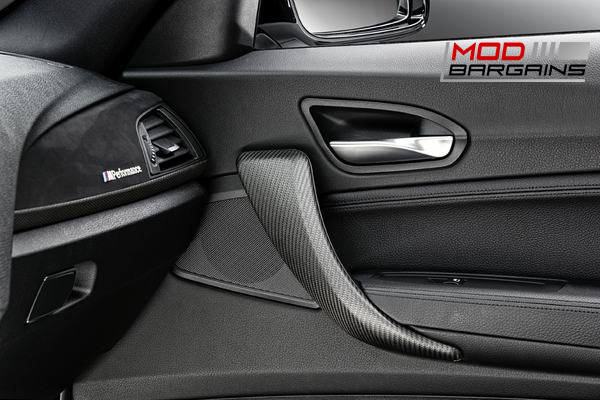 Stand out: Add some style to the interior of your M2 with some real carbon fiber and stand out from the stock BMW's. Customize: Get some carbon fiber and change up the look of your boring interior by customizing it. There's no such thing as too much carbon fiber, you can never have too much carbon fiber. We can all agree that carbon fiber looks good on everything. Not only does it greatly enhance the appearance of your BMW, but it also has a great weight advantage. The good thing about carbon fiber is that it looks great on any color vehicle. 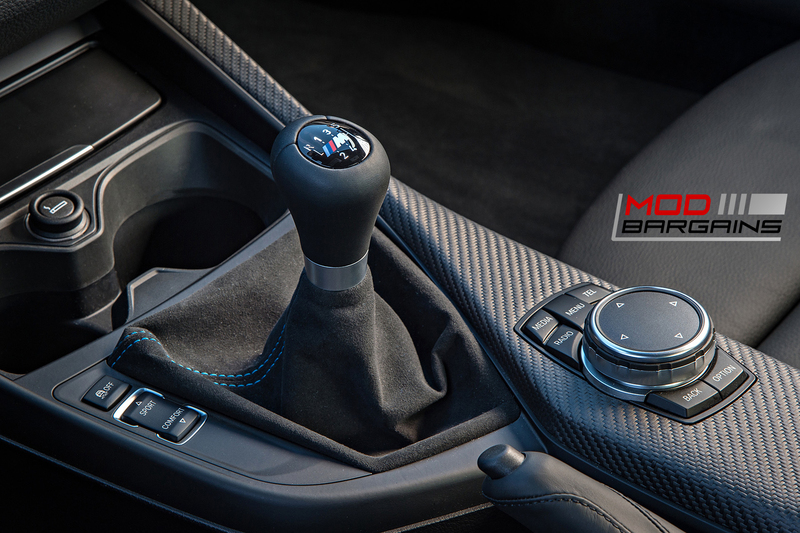 These carbon fiber interior pieces paired with the Alcantara material, will perfectly compliment your interior and any exterior carbon fiber pieces you might already have or are planning on getting. If you feel that you cannot properly perform this installation, we HIGHLY recommend you bring in your vehicle and let one of our Mod Experts do the install.